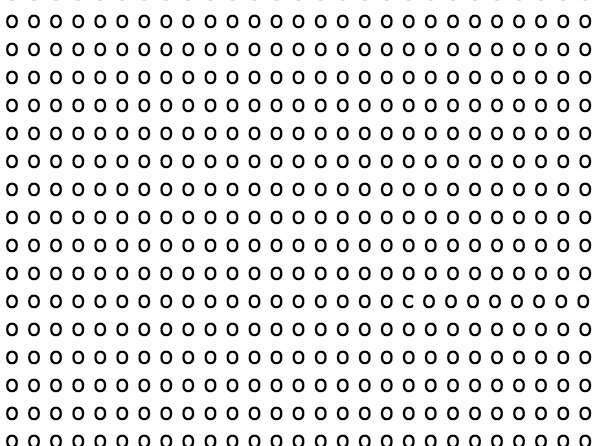 This brainteaser first hit the internet in 2015, but has recently resurfaced. There's a lone "C" hiding in this sea of "Os." 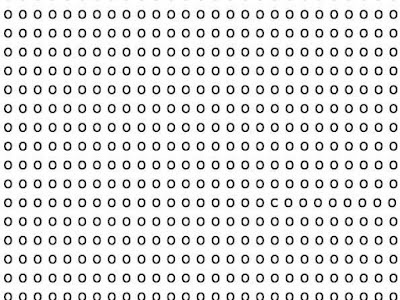 If you can find it within seven seconds, according to Sharesplosion, you're a genius. The jury's out on what it has to do with your intelligence — but it is pretty tricky. This recently re-surfaced brainteaser has been making the rounds on the internet again. Apparently, reported Sharesplosion, if you can find the "C' that's hidden somewhere among the rows and rows of "Os" in under seven seconds, you're a genius (they claim that 99% of adults can't achieve this feat). While we can't confirm or deny whether or not your sharp eyes make you a genius, it is pretty hard to see the "C" when focusing on the many "Os." Good Luck!! !